Wow, excellent work H_H_Aero. How about some transparency? Edited by H_H_Aero, 05 November 2005 - 06:52 AM. If you can add a button for a quick access to my albums, this would make the skin I use forever. Do you know if it's possible to skin the minibar taskbar player? Great! Can't wait 'till the next update! 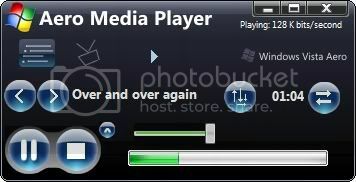 I noticed something, in the taskabr, it says "Main View" instead of Windows Media Player like it is suppose to. 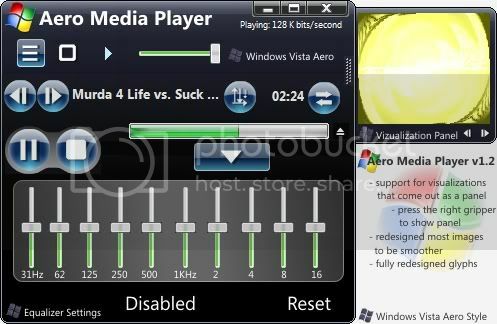 - fixed a bug that changed the taskbat button title to Main View; now it says "Aero Media Player"
Edited by H_H_Aero, 06 November 2005 - 07:26 AM.